Watch Philippines vs Thailand Ice Hockey Finals- 2017 SEA Games Video Replay. JUST IN: PH Men's Ice Hockey Team copped the title against Thailand, 5-4! Congratulations! Philippine Ice Hockey Team is the first every Ice Hockey Champion in SEA Games. 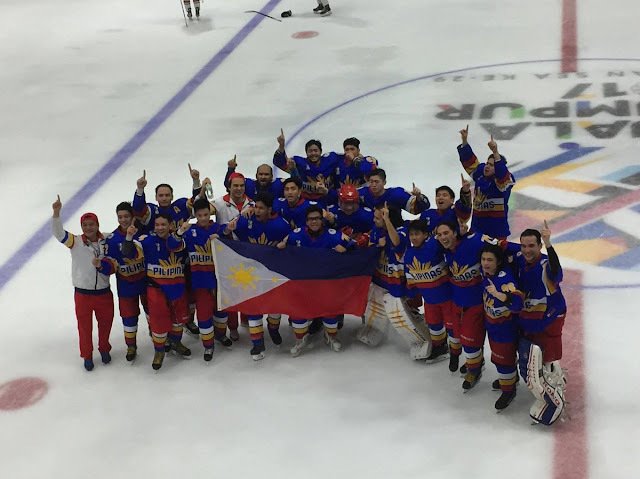 This is the very first time that ICe Hockey became an official event in SEA Games making the Philippines Ice Hockey Team the very first gold medallists of the event. Please "LIKE" the Philippine Mighty Ducks Facebook page, kindly click HERE!